You are here: Home / Craft/DIY projects / A sneak peek and a GIVEAWAY! 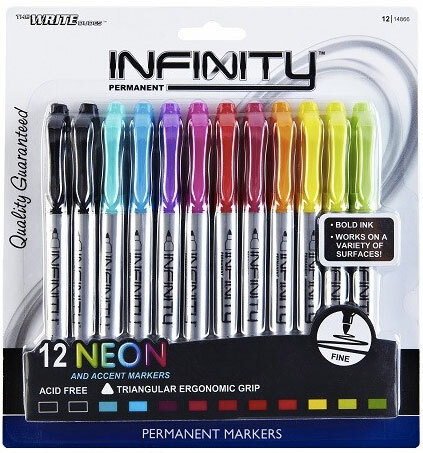 …and a giveaway from the guys over at The Write Dudes who have generously offered a pack of their great Infinity NEON Fine Point Permanent Markers to you!! These permanent markers are fabulous to work with and I can’t wait to share more about them on Friday. Enter the giveaway below and don’t forget to check back in to see the final project (here it is)! Great color!! Reminds of me of island living! My favorite color is green, but I love all colors really! Can’t wait to see your finished project. 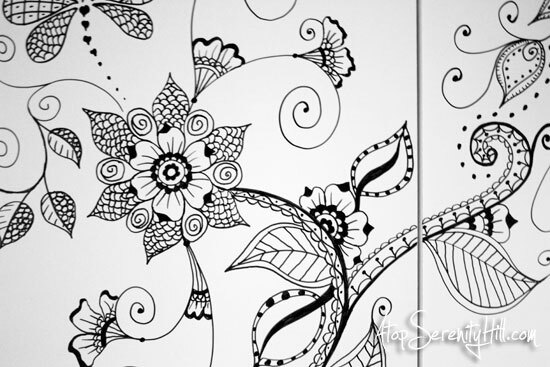 Love the look of the whimsical flower design. Thanks, Tammy! The finished project is finally up! PS…I shared your wreath tutorial on Facebook…loved your instructions! Thanks, Germaine! Lucky you! Want did they consider crazy!!?? I always remember that everything can be painted over so I just go for it! Me too!! Good luck with the giveaway! And the doodle… oh how I wish I could do that in a snap. How long did it take you. It’s fabulous! Thanks, Pammie! I took HOURS!! Lol! I actually don’t know how long it took as I did it over a week’s time when I could. I love aqua and I’m a total sucker for pens! You will love the aqua pen then! The color is just lovely! I love all the vibrant colors. Cant wait to get a set. Thanks, Melissa! Make sure to use the coupon available on the Write Dudes website if you order a set!